Looking to get more fit, reduce stress, sleep better, feel stronger, curb anxiety or depression? 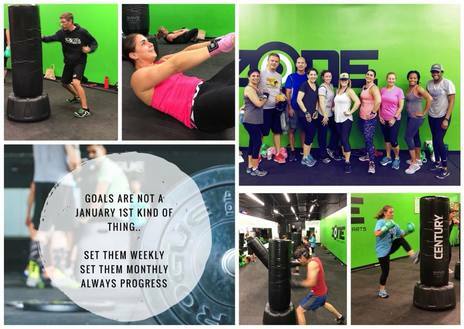 ZONE FIT offers a mixture of cardio and weight training, combined with kickboxing routines. If you are just beginning a fitness routine or need modifications for injuries, Instructor Erik Ekholm can work with you to develop a fitness plan that is right for YOU! Boot Camp style workouts that involves body weight exercises, kettle bells, dumb bells, and compound conditioning using functional movements. A mixture of cross training and kickboxing incorporated into workouts. Easy to learn punches and kicks while striking a punching bag. Come give us a try! $75 per month. Or, sign up for a free trial!